The main theme is re-imagination and innovation. This year we will launch some of the most innovative products we have ever made, plus an industry first technology. From which big trends do you take your inspiration? While streetwear and fashion have inspired style lines, the biggest trend that inspires us daily is purpose-driven products. We look at products outside of the outerwear world, and dive into the vision behind the products as well as the problem they solve in their niche and try to apply some of that thinking to everything we do. And which other brands, designers, artists or influencers do you follow who shape the style of your brand? We track all kinds of brands – we have been really keen on those blurring the lines between activewear and fashion as well as cycling/running and fashion. We really feel it when a new aesthetic is applied to something traditionally athletic. We also collaborated with a couple artists we look at in Dustin Klein and Cryptic this year on graphics. By far the most important product in our range is the GLCR Hydrastash Reservoir Jacket for Men and Women. 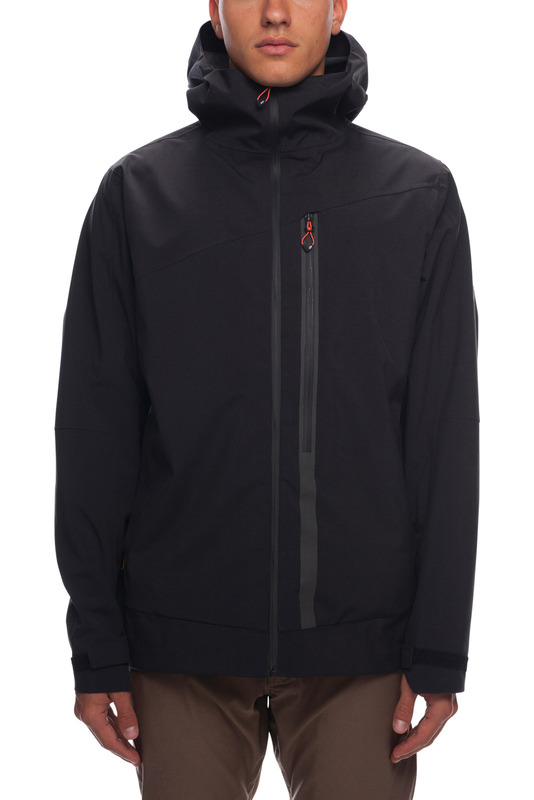 It is an innovative Jacket that is the only jacket in the world with a built in hydration system. The GLCR Reservoir Jackets are the first jackets of their kind to feature the new Hydrastash built-in micro hydration system. This is a patent-pending system that is exclusive to 686. 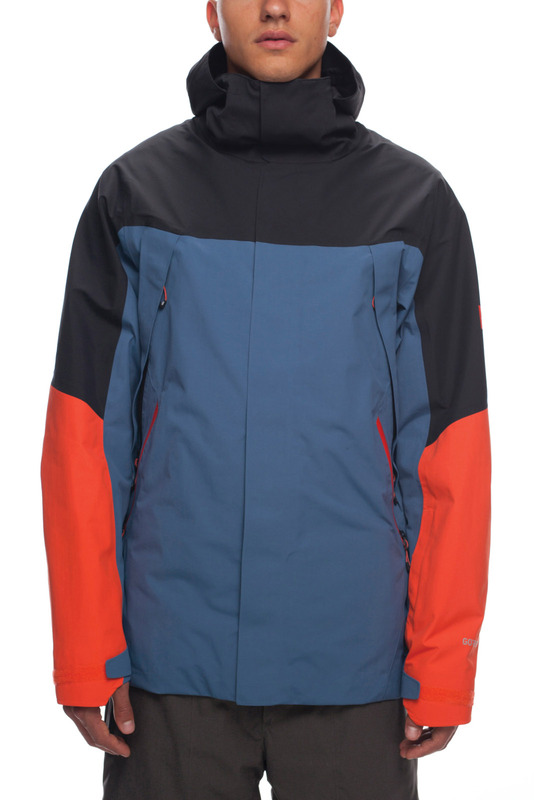 It truly is one of the largest innovations in outerwear in the past years. After using it, you will never want to go back to not having water on you while riding again. It completely changes your experience. We are seeing online sales growing quickly with our partners. We see value in connecting with consumers both in-store and online. In store consumers can feel the fabric, try on the jackets and have conversations which, are important. The online space provides more access to the brand and allows us to cross promote with our retailers and riders easier as well as provides a platform for stronger and more elaborated story telling. We see this opportunity for story telling as a key component to selling technical outerwear with our partners. Price points are going both up and down. We are seeing success throughout our collection, but new models are being created at the top to drive the brand and showcase what is possible as well as the bottom to provide more easier access to the brand to consumers. We completely overhauled our fits last winter (1718) and we are sticking to these fits for 1819. We are introducing more long jackets, especially for women. We have added more pop hits to all of our jackets. The color palette is clean, progressive, easy to wear and match well with a lot of staples that are out there from other brands. The bright colors really enter our collection in our GLCR pieces for backcountry visibility as well as on trim hits throughout our collection. BRAND NEW PATENTED INNOVATION IN OUTERWEAR – GLCR Hydrastash Reservoir Jacket for Men and Women. The GLCR Reservoir Jackets are the first jackets of their kind to feature the new Hydrastash built-in micro hydration system. This is a patent-pending system that is exclusive to 686. 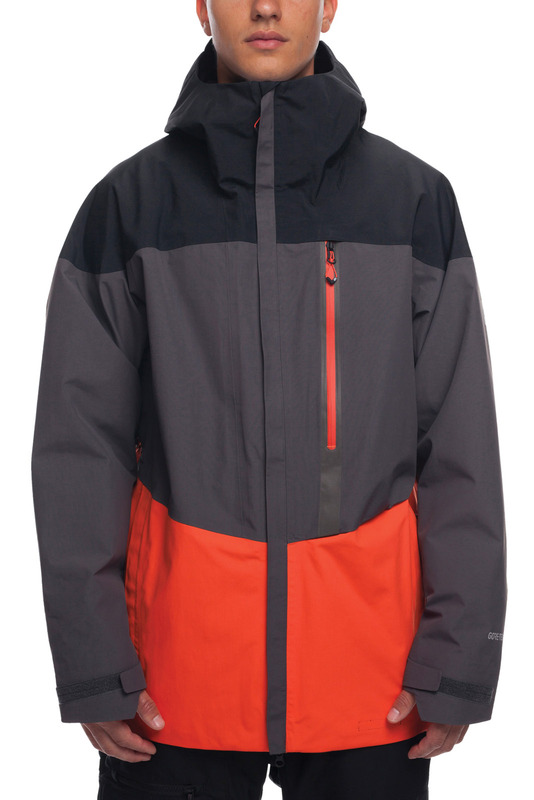 It truly is one of the largest innovations in outerwear in the past years. After using it, you will never want to go back to not having water on you while riding again. It completely changes your experience. Anything that feels unauthentic. If it is authentic to us or our consumer, we know we can always reimagine it to make sure it is on trend. This will help us to put some focus in the right place. 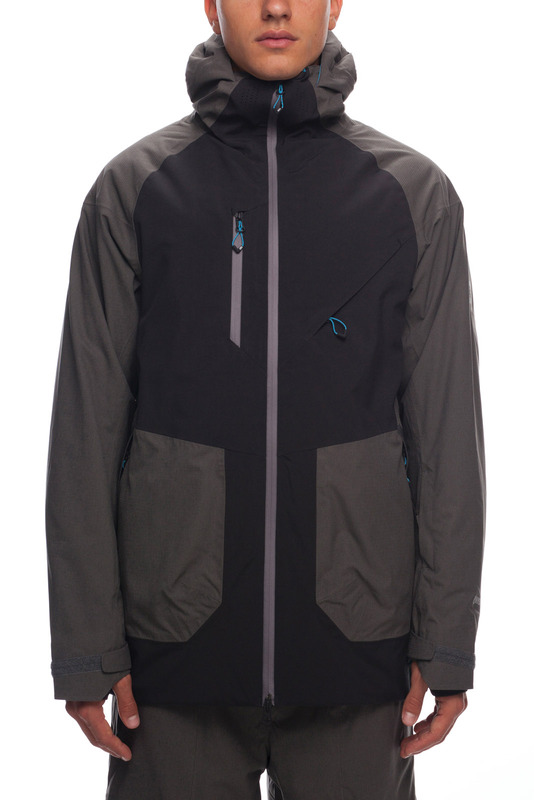 Our Hydrastash Reservoir Jacket is by far and away our top marketing story. It is a brand new, patent pending innovation that creates a better experience for consumers.